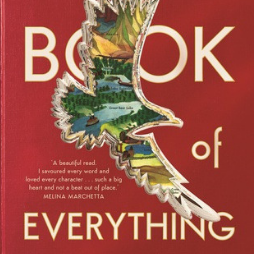 Lenny’s Book of Everything by Karen Foxlee is a tender, heartbreaking novel about love and loss that will stay with you long after you have finished reading. This novel is not just for kids – readers of all ages will fall in love with the characters, shed a tear for the story, and marvel at the how the author brings this story to life with language that sings. A compelling and highly recommended novel for all readers, especially those who loved Wonder, Counting by 7s, and Bridge to Terabithia.